Imagine with me for a minute you’ve joined the circus. The crowd is cheering, the lions are roaring, and the ringmaster has just announced that it’s time for you to walk the tightrope. Growing a company is much like the balancing act of a circus performer. You have to walk a thin line of incoming orders and sales with cash flow, accounts payable, lines of credit, and (most frightening of all) accounts receivable—all without losing your balance. 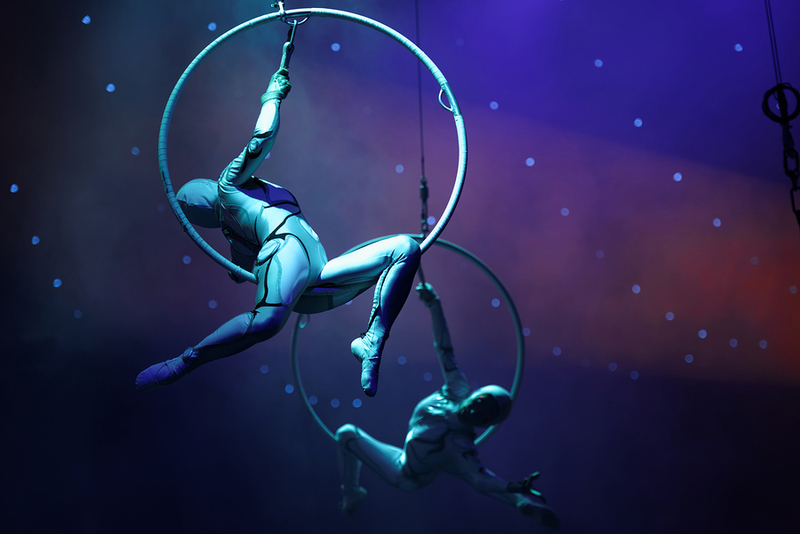 Unfortunately, unlike the acrobat in the circus, your business doesn’t always have a safety net for you to fall into. 1. The entire team must know all the information about the business, including the financials. I know what you’re thinking: “I can’t do that.” Yes, you can, and it has worked all 77 times I’ve done it. How can you expect your team to go on a journey with you if they don’t know where you’re going, how you’re going to get there, and what you’re going to do? Simply tell them this information must stay inside the company as it could jeopardize everyone’s job. 2. Make a 90-day plan. Break it down into months, then weeks, outlining who is going to do what, to whom, when, and for how much. I’m not asking for a Harvard Business School plan, but you need to lay out a base of where the company is today and project what is needed to ramp up growth and profit for the next 30 days, the next 60, and the next 90 days. Consider the Lean Planning approach. Don’t spend a massive amount of time on this because you’re not going to be right the first few times. You and your team will get better each week as you make corrections. In this case, “good enough” is a fine place to start. 3. Measure your profit points daily. Okay, now how are you going to measure progress? You and your team are the only ones who can make that decision. Is it sales? Production? Orders? We use a series of whiteboards to post the metrics we need to measure daily—I suggest these for any company. Make sure these boards are placed where the entire company sees them every day, as it lets your team know where you are against your plan. Trust me, these boards make things happen! 4. Turn the team loose to reduce all unnecessary expenses. Make sure your team understands there are two routes to increased profitability: increased revenue and decreased cost. You need both. Turn your team loose to reduce any expense not necessary for your core business. When the leaders of the company point out areas for possible expense reductions and ask for the team’s help, it creates a team spirit which empowers every employee. 5. All purchases must go through a formal purchase order process. This allows for a balanced cash flow and keeps everyone in the loop with a defined, documented process, which is the primary point. Growth is scary because it can get out of control in a heartbeat, therefore we must know what purchases are being made in order to time our cash flow. Each department needs a dedicated purchase order process, and prior to issuing a P.O. The request needs to be checked against your cash flow report so you can make sure the funds are available when needed. As the owner, decide on the dollar amount threshold at which you want to personally sign off on purchases. 6. Turn on your accounting headlights. Most businesses operate utilizing what I call “taillight accounting.” A monthly set of financial statements—profit and loss statement, balance sheet, and cash flow statement—are compared against last month and last year. While useful in its own right, taillight accounting tells us where we’ve been, not where we’re going. Here’s why: It’s typically a few weeks into the next month before you’ve received your statement for the month before. Forty days have passed since the beginning of the period you are reviewing—not good enough for a business in a growth mode. That’s why we need a daily operations board, or a business dashboard, to track your financials easily. These are boards that are updated daily to show where you stand every single day. By using headlight accounting, you can recognize a problem within 24 hours and make corrections now rather than a month and a half later. In all our companies, we give either quarterly or annual bonuses, not raises. When you give bonuses, the money is already in the bank. You know the amount of profit made. When you give raises, you are increasing expenses going into an unknown period. What if revenue drops? If you keep your team in the know, they will not only understand the change but will be more eager to help the company grow. Don’t jeopardize the future of your company by giving raises. Try to pass the first window at McDonald’s and see how much food you get at the second window. They don’t do credit, and neither should you. Think you can’t? Well, I’ve proven you wrong 77 times in 25 different industries. You can do it. If you’re carrying ARs, you’re in the banking business, pure and simple. If an account doesn’t pay on time, they will crush your cash flow like a bug. Headlight accounting requires us to know where we are all the time, and having a ton of ARs out in the weeds won’t let that happen. Use credit cards, or get with a bank and set up a factoring account; yes, they will charge you a fee, but every night the invoices generated that day will be money in the bank. In 77 companies across 25 industries for over 52 years, these methods have worked to grow each company, including many who were generating in excess of $300 million in annual revenue. The steps outlined in this article will give you orderly, controlled growth. It’s my hope that you will take them and use them to strengthen your business. If you would like to know more about my career or techniques, please feel free to visit my website, www.robertthomasbethel.com. Robert Thomas Bethel is the orchestrator of seventy-seven business turnarounds over the past fifty years. Early successes and troubles in his own professional career inspired his passion for taking over struggling businesses and guiding them towards the road of profitability. Bethel has turned around companies in various industries—from restaurant chains to engineering firms—and has helped save over ten thousand jobs as a result of his strategic business counsel. A graduate of the Owen Graduate School of Management at Vanderbilt University, Bethel owns several companies across the southern United States and has operated businesses both nationwide and internationally. He is an Eagle Scout and, in addition to counseling, also spends times teaching three-day seminars on best business practices throughout the country. For more information, visit www.robertthomasbethel.com. His new book, “Strengthen Your Business,” is available on Amazon.